Why Infographics is Useful for your Digital Marketing Campaign? Infographics are a visually compelling communication medium that done well can communicate complex data in a visual format that is potentially viral. The term “Infographics” is applied to information, data or knowledge that is presented in graphic visual form and presents a clear message quickly and clearly. A well-known example would be simple yet effective road signs. A bright yellow triangle at the side of the road alerts you that there is something to be cautious about ahead so you glance quickly at the sign and see the clear black image of rocks falling onto the roadway. You are instantly aware that you should keep your eye out for falling rocks. The message is delivered, quickly and simply, and you can go on with your drive. They are a mix of design, writing and analysis that are ideal for an age of big data. 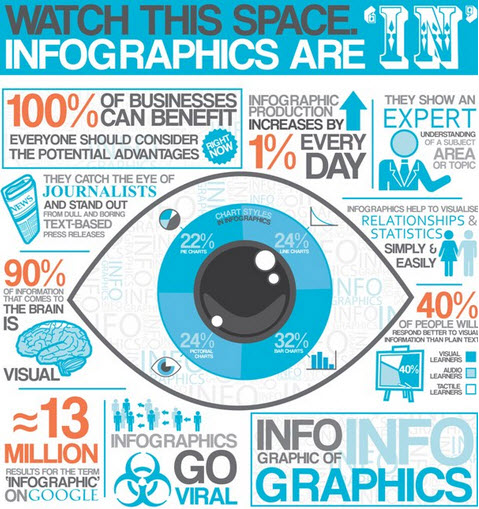 Why Include Infographics in your Digital Marketing Strategy? There is one thing that I have discovered while blogging is that people love facts, figures and statistics. Add some compelling images and graphics and …”voila“, you have addictive content! Due to infographics attractiveness the capacity for them to be shared on social networks and become viral is much higher than ordinary text content. When designing, developing and publishing an infographic the code to put it on a WordPress blog or website is provided as an embed code. This then creates an automatic link from their site to yours. In a world where online publishing is now visible globally at the push of a button, infographics can provide global coverage that local print media could never do. The viral nature of the infographic medium makes people link to your site and Google will index your website higher due to Google’s “Page Rank” algorithm. This increases the importance that search engines pace on your site. The research required to create an infographic will display your knowledge and position you as an expert on your category or topic. 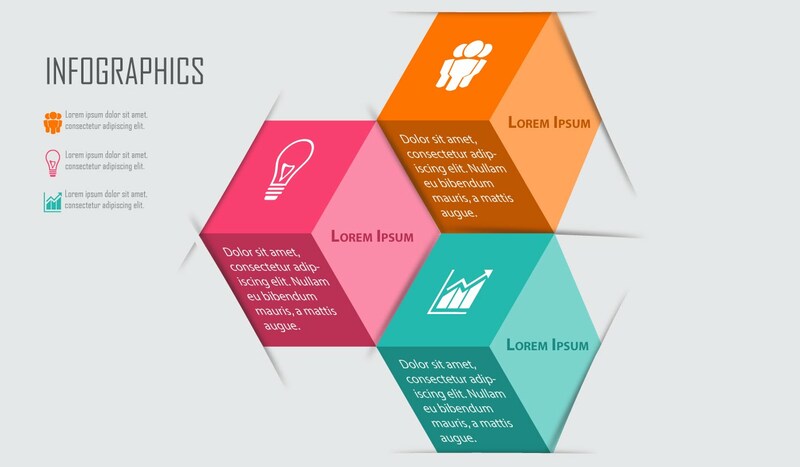 Learning how to use infographics effectively and how to create interesting and memorable pictures that will generate a lot of unique traffic to a website is something that many companies, charities, and organizations have become increasingly interested in. It’s important that an infographic design presents data or knowledge in graphic visual form both quickly and clearly, in a memorable way that people will want to share with their social contacts. Here are 5 important principles to help you in creating an infographic using best practices which will help you get your message across in the best manner possible.